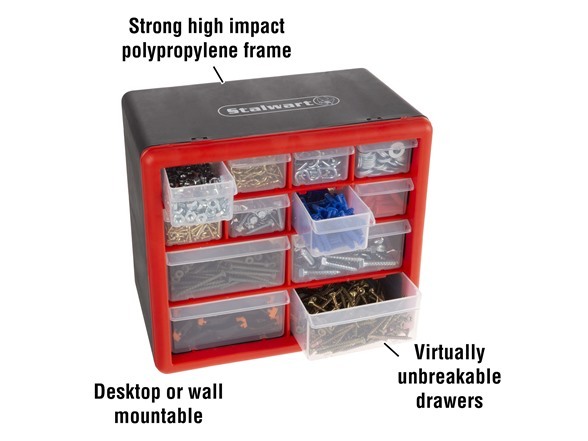 IMPACT RESISTANT MATERIAL- Constructed from strong and durable polypropylene, these storage drawers are made to last, and difficult to damage or break. DESKTOP OR WALL MOUNTABLE- The storage box is portable and can be placed on any desk, table, or work surface, and is also conveniently wall mountable. 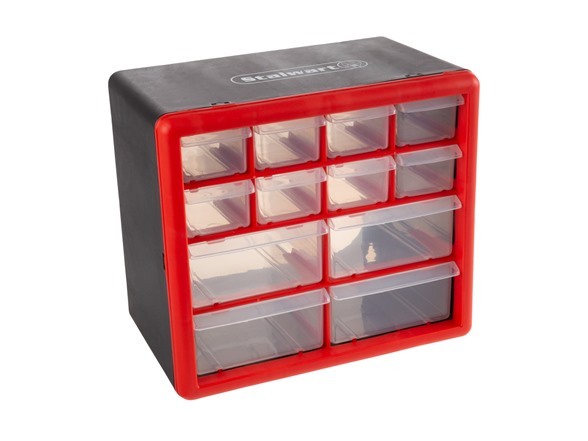 MULTI-PURPOSE- The storage container features multiple organizer compartments and is ideal for storing everything from fishing tackle, office supplies, hardware like nuts, screws, and bolts, to crafting materials, beads, makeup, or jewelry. VERSATILE- These drawers are perfect for any area of the house! Get one for your garage, office, shed, kitchen, bathroom, or bedroom. It’s the perfect organizational solution to keep accessories, pieces, or parts neatly organized and tidy. 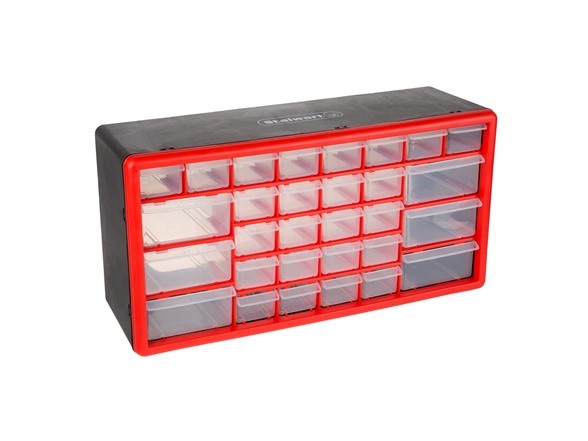 30-Drawer: PRODUCT DETAILS- Material: Polypropylene. 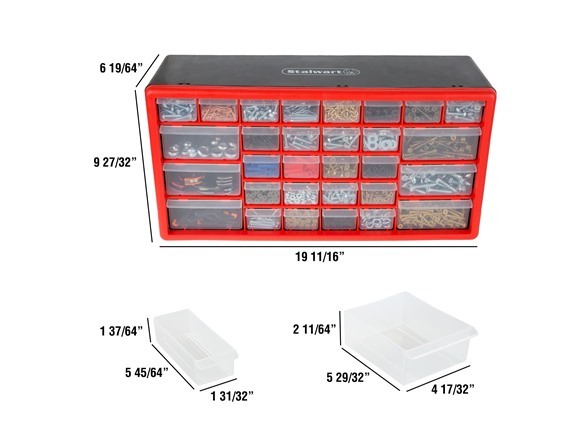 Overall Dimensions: (L)19 11/16”x (W)9 19/64”x (H)9 27/32”; 24 Small Drawer Dimensions: (L)5 45/64”x (W)1 31/32”x (H)1 37/64”; 6 large bin dimensions: (L)5 29/32”x (W)4 17/32” x (H)2 11/64”.